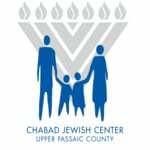 Welcome to The Chabad Jewish Center - Upper Passaic County, servicing the cities of residents of the Upper Passaic County area. Chabad Jewish Center’s unique approach and unconditional acceptance of people, create a dynamic and flourishing community. At the Chabad Jewish Center there is no membership. Everyone belongs! Take a moment to browse through our newly revamped site and join a program that fits your needs. At Chabad Jewish Center everyone is welcomed as family. Children, adults, singles, couples, young and old feel at home. It is just a great place to meet new friends. Our unique approach and unconditional acceptance of every Jew is creating a dynamic and flourishing Jewish community. We are constantly expanding our programs and services to serve everyone and we invite you to join us at any time. Chabad Jewish Center’s No Membership Philosophy makes our programs accessible to all. Rabbi Menachem M. Schneerson is considered to be the most phenomenal Jewish personality of modern times and the only Rabbi ever to receive the Congressional Gold Medal, America’s highest civil award. To hundreds of thousands of followers and millions of admirers around the world, he is simply known as “The Rebbe”.